I am so excited to be sharing with the One Little Momma readers today! I am McKenzie from Girl Loves Glam. 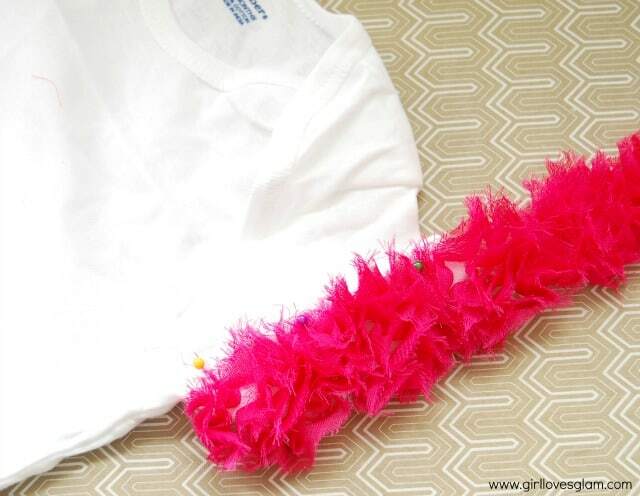 I blog about my life as a DIY glam girl. That includes home decor, crafts, beauty, and lifestyle. I hope you come by! I love to dress up my daughter. I always have. From day one, getting her all dolled up was one of my very favorite things to do. Just a boring white onesie won't do! I love to dress up onesies to make them something more special and inspired by current trends that I love. One of my current favorite trends is having unique sleeves on my shirts. 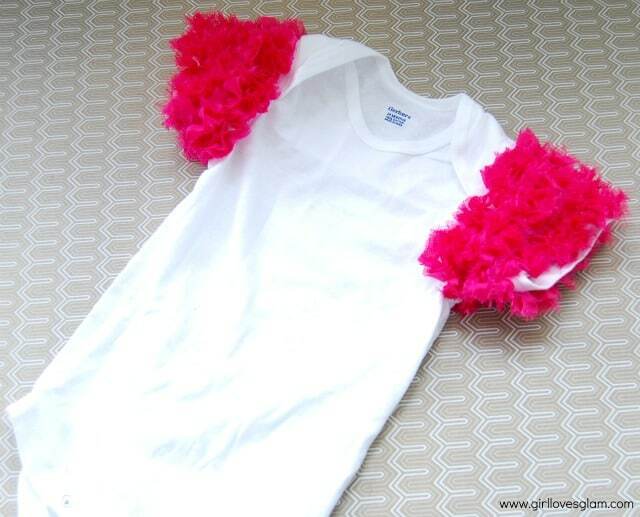 I have a shirt with ruffled sleeves that I absolutely love and I wanted to recreate that in a smaller version! 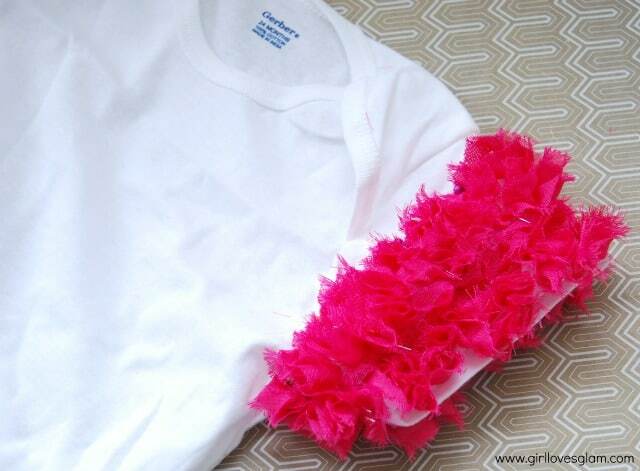 First, lay out the onesie and lay the ruffle ribbon on the sleeved. Pin the ribbon down along the edge of the sleeve. 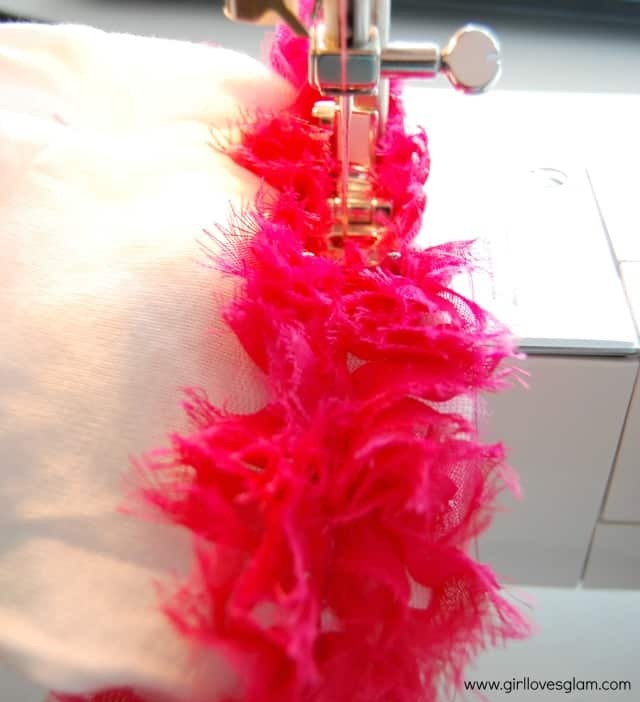 Sew a straight line down the middle of the ribbon. Pin another row of ribbon down and sew down the center again. 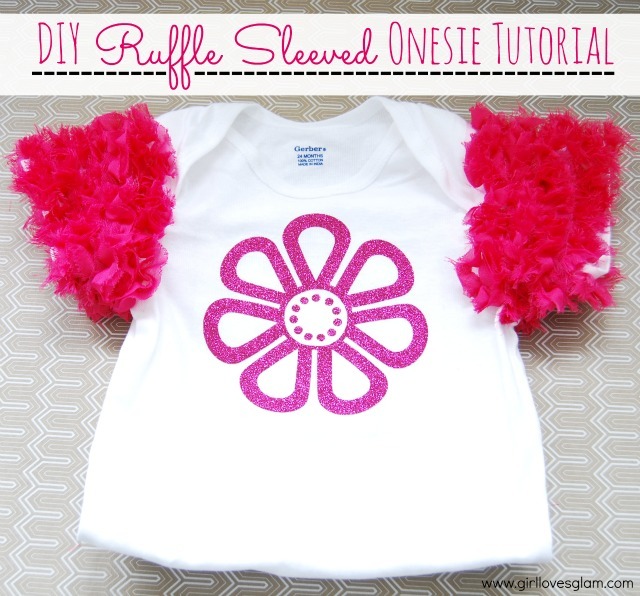 Repeat these steps until the sleeves are covered with ruffles. I love how it looked just as is, but I wanted another little something to really make it pop, so I also added a vinyl glittery flower to the center! I love how it turned out! 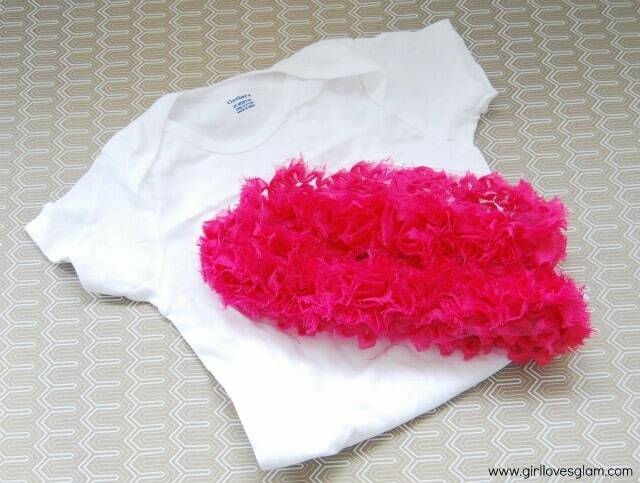 Now go makeover a onesie of your own! They make great baby gifts too! Thank you so much for having me here, Kilee!